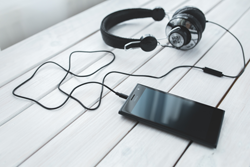 ANCDS offers a podcast series on the most interesting new topics in neurologic communication disorders. You can listen to the podcasts here, or subscribe to our podcast on iTunes, SoundCloud, Spotify, or Stitcher. Heather Clark, PhD, BC-ANCDS, is Chair of Speech Pathology in the Department of Neurology and Associate Professor in the College of Medicine at the Mayo Clinic in Rochester, Minnesota. She is board-certified by the Academy of Neurologic Communication Disorders and Sciences and a Fellow of the American Speech-Language-Hearing Association. Her clinical responsibilities include differential diagnosis of communication and swallowing disorders in adults and children. Dr. Clark serves as co-investigator in several projects examining the nature of speech, language, and swallowing impairment in degenerative neurologic disease. Ramani Voleti, M.S., CCC-SLP, BC-ANCDS, is an assistant teaching professor and speech language pathologist at the Gebbie Clinic at Syracuse University. She has several years of experience working in different settings and in different countries (India, Malaysia, Botswana, and US). Her clinical and research interests include acquired neurogenic speech/language disorders, dysphagia, and voice disorders in adults. She teaches courses in neurogenic communication disorders and professional issues in medical settings. She is certified in Lee Silverman Voice Treatment and is board certified in neurogenic communication disorders in adults by ANCDS. Dr. Jacqueline Laures-Gore is an Associate Professor of Communication Sciences and Disorders at Georgia State University. She received her PhD in Communicative Disorders from the University of Wisconsin-Madison. She directs the Aphasia and Motor Speech Disorders Research Lab at Georgia State University (https://education.gsu.edu/csd/aphasia-and-motor-speech-disorders-laboratory/). Her research interests include aphasia, stress, depression, and integrative health. Her work has been funded by the NIH, ANCDS, as well as other entities. Rebecca Shisler Marshall, PhD (CCC-SLP) is an Associate Professor in the Department of Communication Sciences & Special Education at the University of Georgia. She is also a mindfulness instructor, certified life coach and yoga instructor, reiki master, and shamanic practitioner. Her primary research interests include integrative treatments such as mindfulness for aphasia, attention, and aging. Margaret Lehman Blake, Ph.D., CCC-SLP is an associate professor in the Department of Communication Sciences and Disorders at the University of Houston. Her research focuses on cognitive-communication disorders after right hemisphere brain damage (RHD) and mild traumatic brain injury. Her work includes basic research on underlying deficits and treatment studies. She is the author of The Right Hemisphere and Disorders of Cognition and Communication as well as numerous articles and chapters on RHD. Dr. Blake has presented nationally and internationally on evidence-based practice for disorders associated with RHD as well as ethics for speech-language pathologists. She served as the President of the Academy of Neurologic Communication Disorders & Sciences (ANCDS) in 2014, and has held leadership roles in the Clinical Aphasiology Conference and the Neurogenic Communication Disorders special interest group of ASHA. McKay Moore Sohlberg is a Full Professor and Director of the Communication Disorders & Sciences Program at University of Oregon, and a Fellow of the American Speech Language and Hearing Association. Dr. Sohlberg has published numerous articles, chapters, and manuals on managing cognitive impairments following acquired brain injury and is co-author of two leading textbooks in the field. She has been funded on a number of federal projects supporting the development and evaluation of assistive technology to deliver cognitive rehabilitation, and to help individuals with cognitive impairment more fully integrate into their communities. Strand, E. A., Duffy, J. R., Clark, H. M., & Josephs, K. (2014). The apraxia of speech rating scale: a tool for diagnosis and description of apraxia of speech. Journal of Communication Disorders, 51, 43-50. Ballard, K. J., Azizi, L., Duffy, J. R., McNeil, M. R., Halaki, M., Oâ€™Dwyer, N., . . . Robin, D. A. (2016). A predictive model for diagnosing stroke-related apraxia of speech. Neuropsychologia, 81, 129-139. Speaker: Kathryn Atkinson (SLP, Clinical Supervisor, Central Michigan University), Edna Babbitt (Research SLP, Rehabilitation Institute of Chicago), and Gail Ramsberger (Associate Professor, University of Colorado-Boulder).